Storybook Waves on Board HMS Queen Elizabeth — Aggie Weston's – Helping serving sailors, marines and their families. Storybook Waves visited HMS Queen Elizabeth today and delivered a Storybook Waves recording Kit on-board. Based with the Chaplain, Reverend Alastair Mansfield the new kit will allow personnel serving away from their families to record bedtime stories for their children to listen to whilst they are separated. 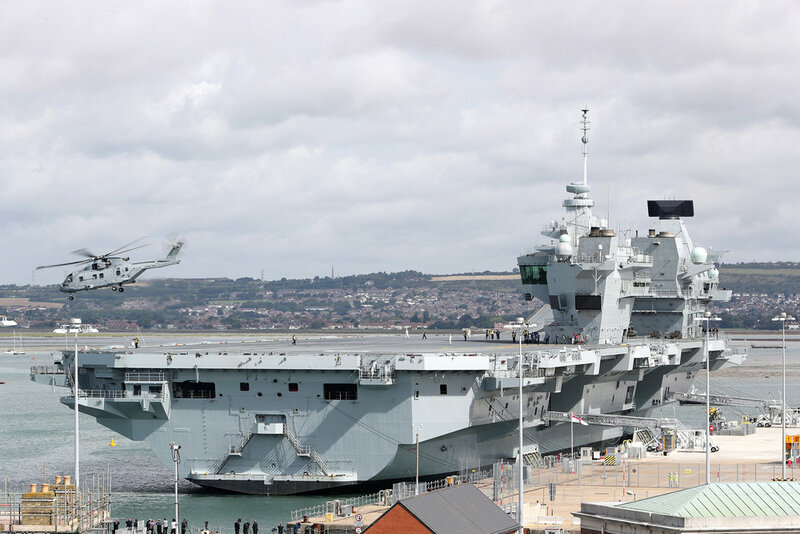 Kathryn Hearn, Project Manager said 'We have already had a number of enquiries from families with loved ones on-board HMS Queen Elizabeth and I am delighted that we are now able to offer this service to families that are separated, we are looking forward to a long and prosperous relationship with the new carrier'. For more information on Aggie Weston's Storybook Waves visit www.storybookwaves.org or contact Kathryn@storybookwaves.org.